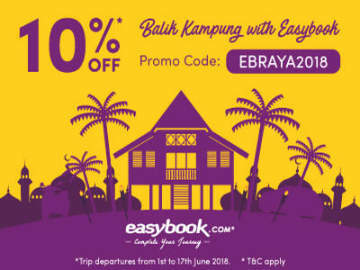 [26 Jun 2018] Easybook.com is giving away RM5 food voucher when you book Grassland Express bus tickets for trips from Singapore to Kuala Lumpur, Ipoh, Penang, Alor Setar, Sungai Petani, Bidor, Teluk Intan and etc. The food voucher, valid for trips starting on 1 Jul 2018, can be used at Ming Ang Restaurant during the stopover break at Yong Peng, Johor. 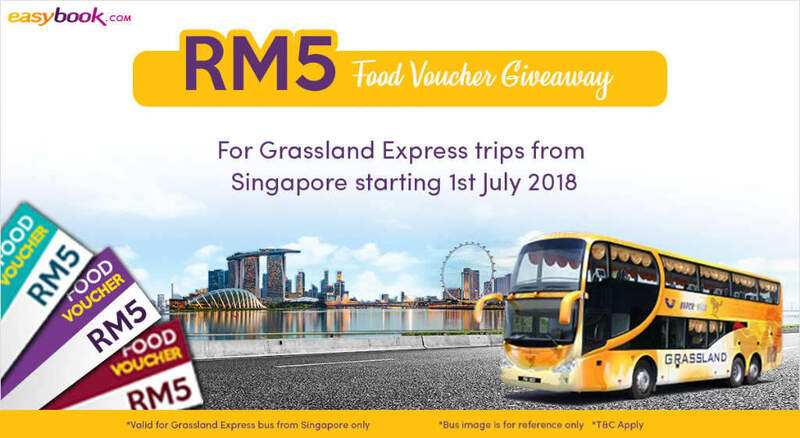 Grassland Express is one of the most popular express bus companies based in Singapore. 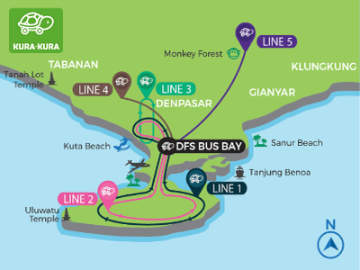 It also offers Free & Easy package which includes Super VIP Coach ticket and KL hotel booking.